Also see “Specifying Widget Settings for a Pivot Table Widget,” in the previous chapter, as well as the next chapter (“Customizing the Appearance of a Chart Widget”). See “Accessing the Samples Shown in This Book,” in the first chapter. If you use a pivot table as the data source, note that pivot tables are created in the Analyzer, discussed in Using the Analyzer. The Analyzer provides options for changing the state of the pivot table: filtering, drilling down, displaying listings, and displaying in chart format. 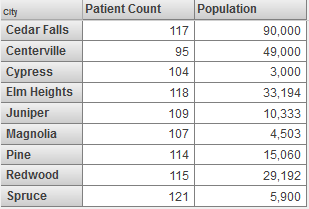 When you save a pivot table, the system saves the state as part of the pivot table definition. 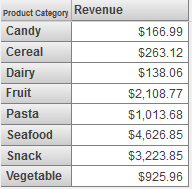 The next time the pivot table is accessed (either in the Analyzer or in a widget on a dashboard), the system displays the pivot table in that state. 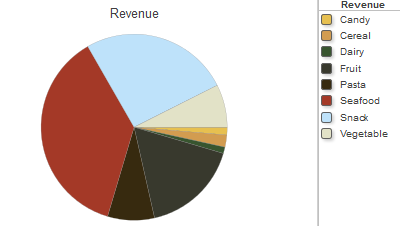 Optionally customize the chart type, as described in the next section. You can also use these steps to reconfigure a pivot widget to display a chart. 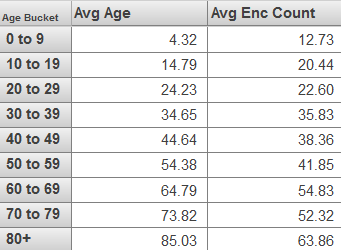 A chart is usually more useful if the data source uses members as rows and uses measures as columns. 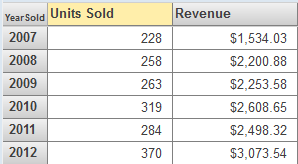 If you use a pivot table that has a summary row or summary column, that row or column is ignored. 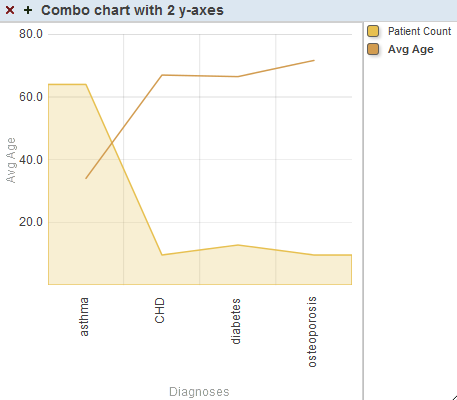 Many of the chart types are also available in the Analyzer, where you can preview them before adding them to a dashboard. 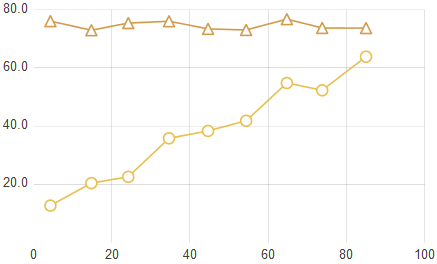 Except in the case of line charts and time charts, only the first 400 chart items are displayed. 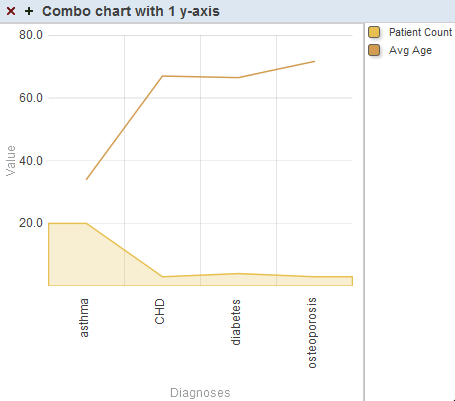 Combo charts are available only in dashboards, not in the Analyzer. It can have multiple y-axes. It can use different display types for different columns of the data source. 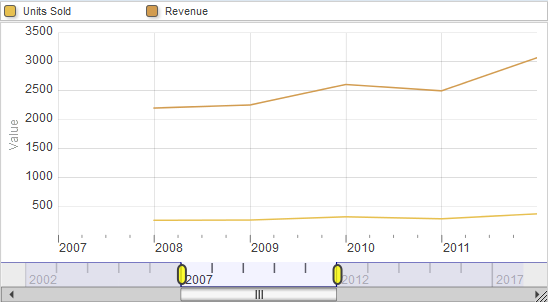 The system automatically displays lines in the foreground, bars behind the lines, and areas behind the bars. 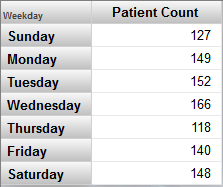 Notice that the y-axis is labeled Patient Count. 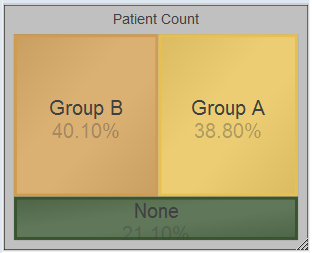 The filled area that displays the Patient Count measure is scaled to match the values on this axis. 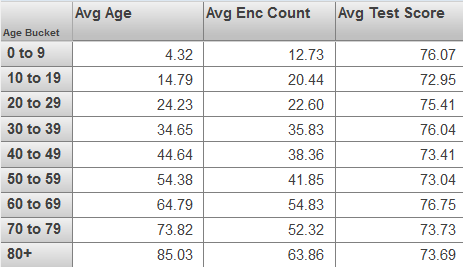 In contrast, the line that displays Avg Enc Count does not correlate with the y-axis  this line is only scaled overall to fit within the chart. This chart is configured so that for the first series, y-Axis is 1, and for the second series, y-Axis is 2. 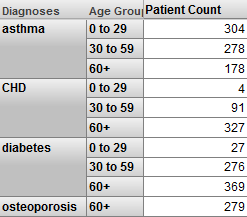 In this case, the third column displays the average values. 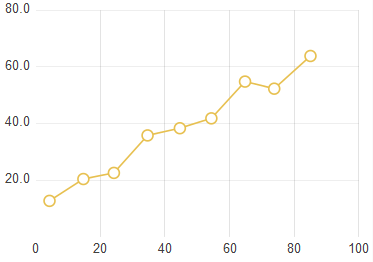 An X/Y chart plots one value on the x-axis and another value on the y-axis. The data source must have at least two columns. 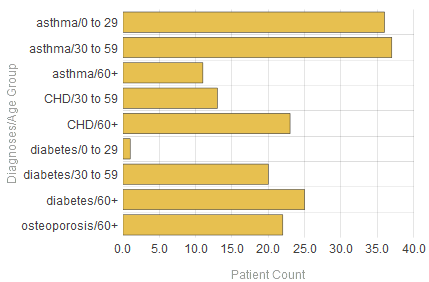 The chart displays a data point for each row of the data source, and it connects these data points with lines. 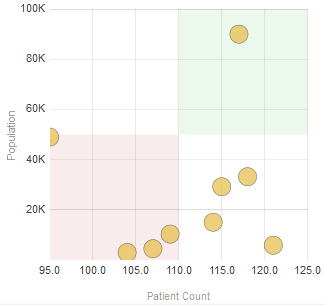 Bubble charts are available only in dashboards, not in the Analyzer. The first column determines the horizontal position of the bubble. The second column determines the vertical position. The third column, if included, determines the radius of the bubble. The fourth column, if included, controls additional colorization that is added to the bubbles. 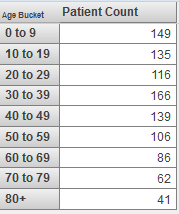 All data rows that have the same value for the fourth measure are shown in the same color. The fifth column, if included, determines the opacity of the bubble. Time charts are available only in dashboards, not in the Analyzer. Time charts are supported only for levels that are based on the following time functions: DayMonthYear, MonthYear, WeekYear, and Year. 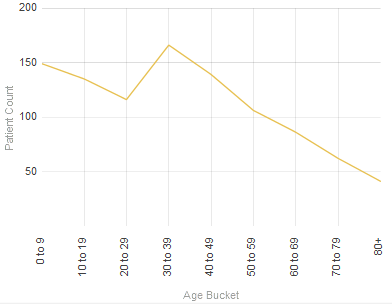 Also, time charts are not recommended for spans of time greater than approximately ten years. 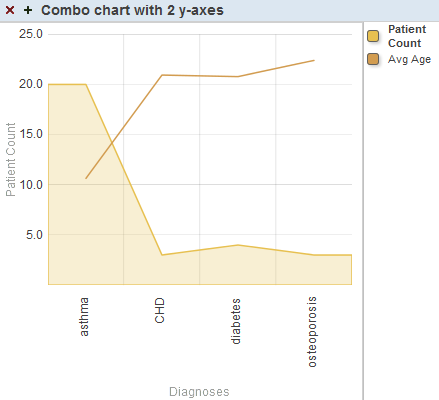 Tree maps are available only in dashboards, not in the Analyzer. 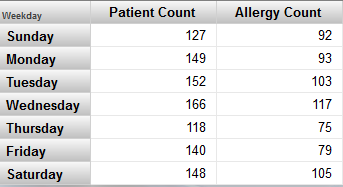 If the data source has multiple columns, be sure to enable the Show Multiples option. In this case, the widget displays a subdivided rectangle for each column. 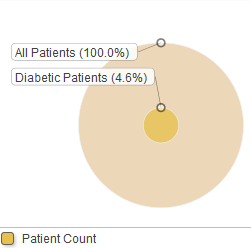 Bullseye charts are available only in dashboards, not in the Analyzer. 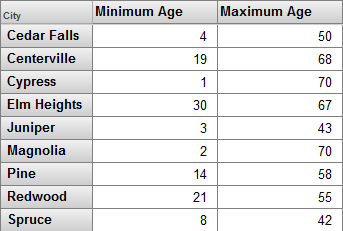 If the data source has multiple columns, be sure to enable the Show Multiples option. 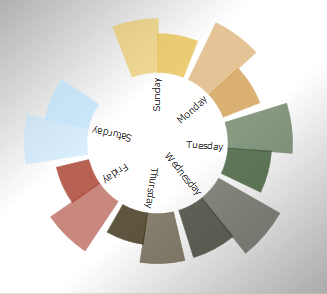 In this case, the widget displays a subdivided circle for each column in the data source. 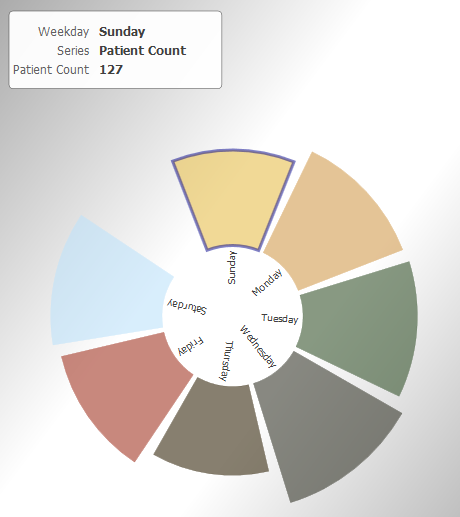 Swirl charts are available only in dashboards, not in the Analyzer. In this case, any kind of chart is suitable. 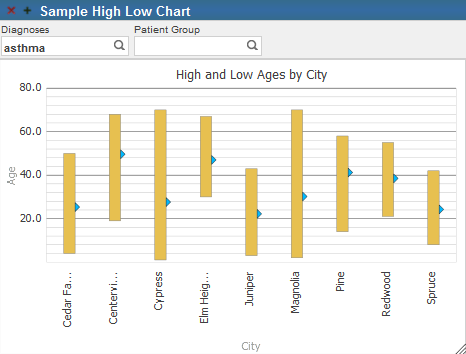 In this case, the most suitable chart types are bar and column charts and combo charts. 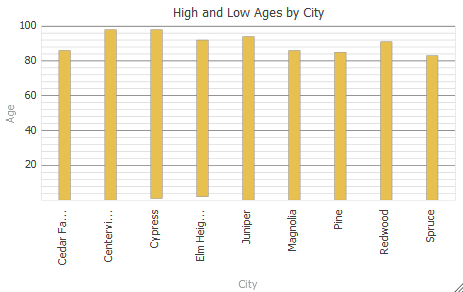 In this case, the most suitable chart types are bar and column charts, line charts, and combo charts. 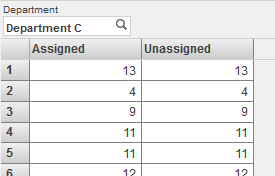 Or, if a given property does not specify AUTOHISTORY, the column for that property is empty except for the last row. You might prefer to display only the properties that specify AUTOHISTORY. To do so, you can add a filter control and filter the data to show only those properties. Note that you can hide this control from the user.